Hello friends! Welcome to the Mile High City! 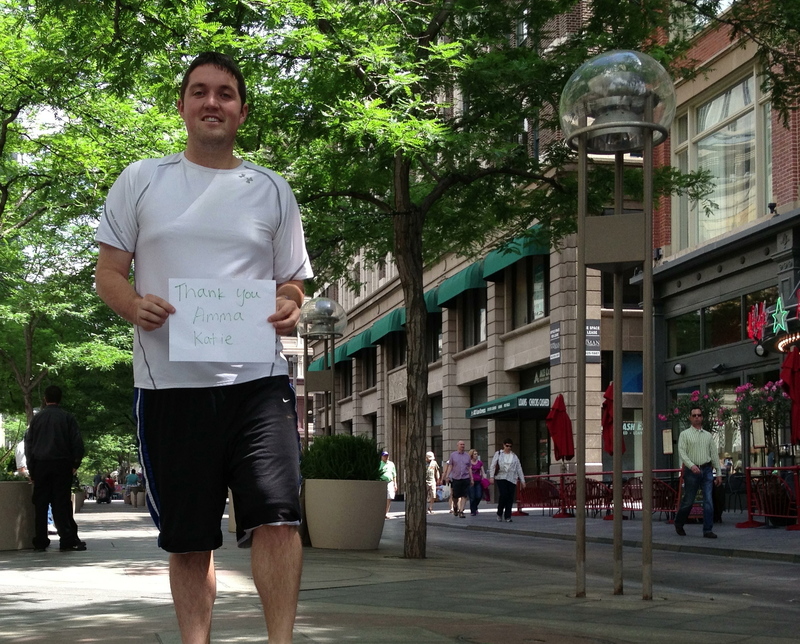 Denver, Colorado is known as one of the healthiest cities in America, and with 300+ days of sunshine each year, it is a great place to get outside and get active. During the summer months, if you pass by any of the city’s several parks, you’ll find hundreds of people running, playing volleyball, biking, or some other physical activity. It’s a great playground for those who love the outdoors! This is a bittersweet week for me as I am wrapping up one job and about to start my new position next week. It’s a farewell run for me of sorts, because I am saying farewell to an incredible place that I’ve called home for two years and moving across the state. For this run, I wanted to showcase some of the best things that the city has to offer, so I went straight to the heart of downtown. 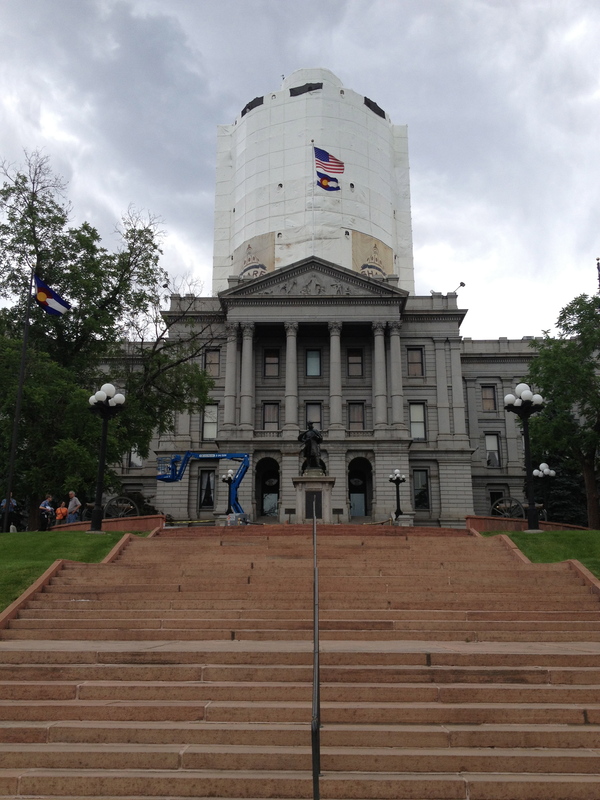 Start: Colorado State Capitol Building – The heart of the state government rests within a few blocks of this landmark. Civic Center Park boasts several events every year and features picturesque views of some of the most important buildings in the state. If you have a few extra hours, take a tour of the US Mint, located just a few blocks away. Quick, take out your coins that are jingling in your pocket. If there is a “D” on the front, it was made right here in Denver. Since this is the beginning of my run, I wanted to thank the people who have been there since the beginning – my family. Thanks to my parents Marilyn and Rick, as well as my brother Michael, for always supporting me on my adventures and throughout my journey. I might be biased, but they’re the best family of all time! 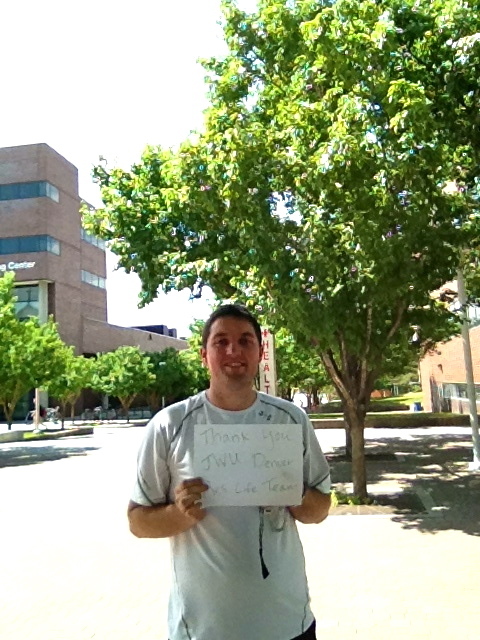 Stop 1: Auraria Campus – The student affairs nerd in me is showing… This stop features a unique campus environment. The Auraria Campus is home to three colleges/universities: The Community College of Denver, University of Colorado Denver and Metropolitan State University of Denver. The unique partnership creates a great home for its students, regardless of which institution they attend. Thank you to the JWU Denver Residential Life team. I have been fortunate enough to work here for two years, and my time is coming to an end. 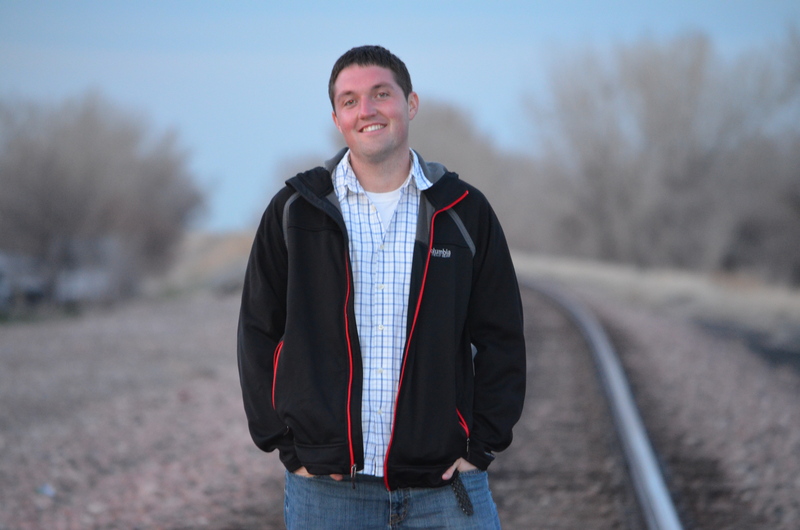 As I embark on a new professional journey, I want to thank the people who made my move to Denver possible. Thanks for the memories! 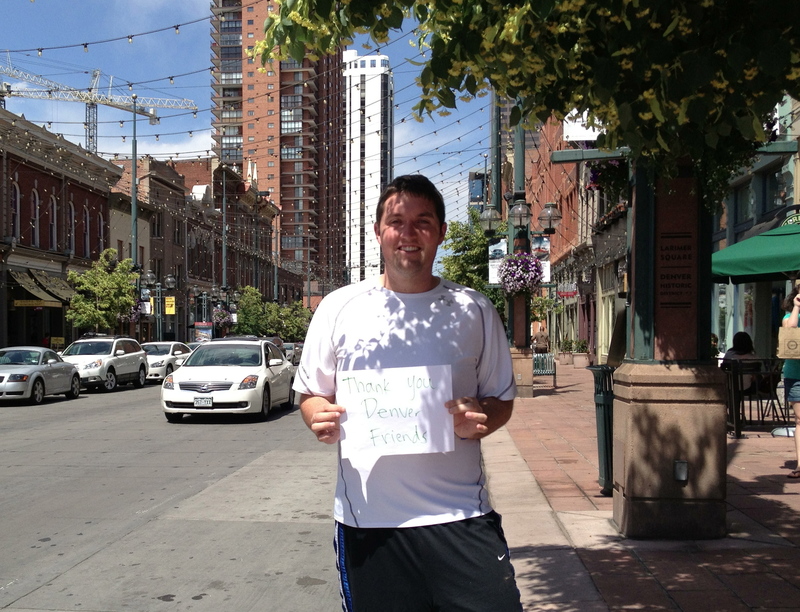 Stop 2: Larimer Square – What once was Denver’s oldest and most historic block is now one of the must-sees of the city. Check out some of the shops and restaurants in one of the trendiest spots in the city. Thank you to my Denver friends for making my two years here so great! Whether from volleyball, running, various church groups, the gym, or any other way they came into my life, so many people have left a lasting impact on me. Luckily, I’m just moving across the state, so I can drive back and visit. 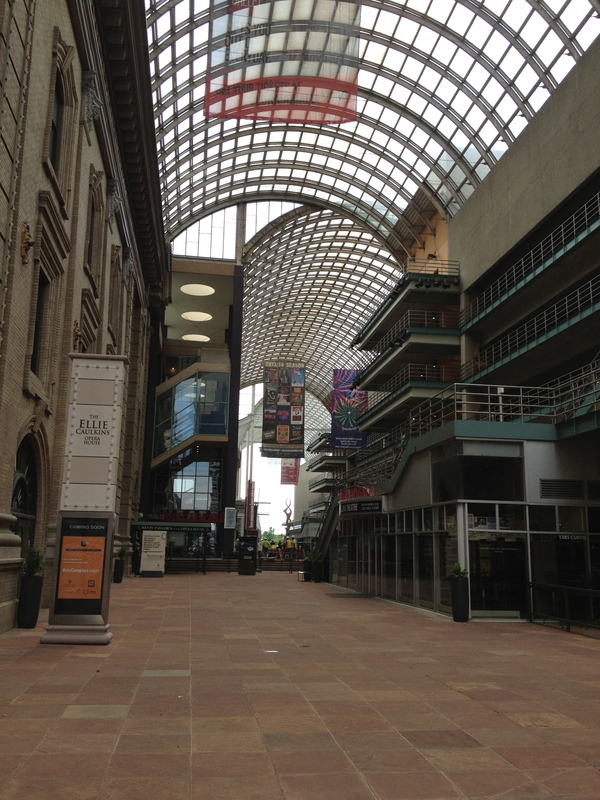 Stop 3: Colorado Convention Center & Performing Arts Complex – Located at this four square block complex are 10 performance spaces with more than 10,000 seats that plays home to some of the most famous plays, musicals, concerts and orchestra performances. I took this moment to thank my girlfriend Kristen who has always been a beacon of excitement, love, and support in my life. We’ve had a lot of memorable dates inside this complex, including a Valentine’s Jim Brickman concert with the Colorado Symphony Orchestra, seeing two amazing musicals American Idiot and Jersey Boys, and missing out on The Book of Mormon tickets via the lottery. Twice. 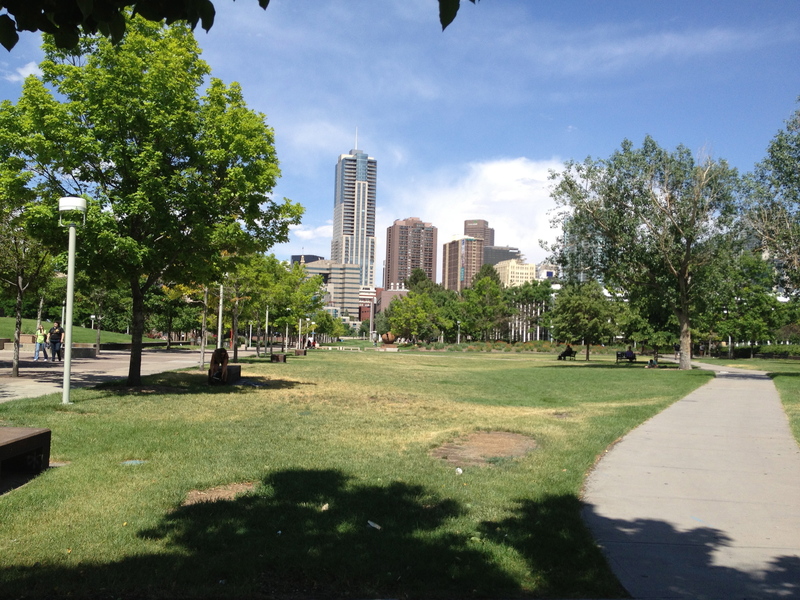 Stop 4: 16th Street Mall and Skyline Park – Head two blocks east and you will find yourself at one of the most visited areas in the Mile High City – The 16th Street Mall. It is a pedestrian mall lined with restaurants, stores and other great sites. Take a minute to watch the street performers, or during the summer months, sit down and play one of the pianos that line the mall. 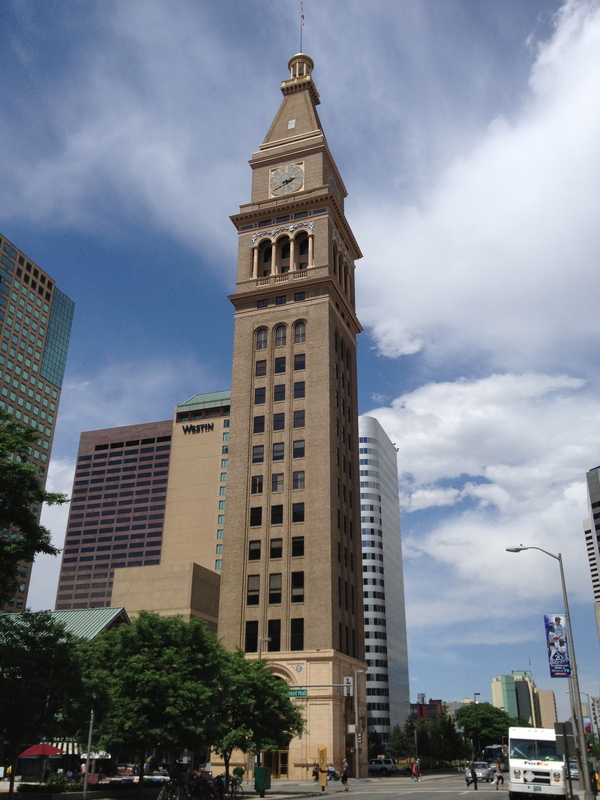 Skyline Park is one of my favorites because of one of the most noted landmarks in Denver – The clock tower. If you’re there at night, you’re in for a treat, as it lights up in different colors! A special thanks goes out to two of the greatest friends in the world: Amma and Katie. I met Amma in grad school, and our bond was special from day one. Despite being opposites in so many ways, we balance each other out, and I am lucky to have her in my life. I met Katie in undergrad, and we have shared countless great experiences together. Always willing to spend time in deep conversation, she’s one who has always found a way to speak to my soul. I’m so grateful to have these two in my life and as cross-country cheerleaders. 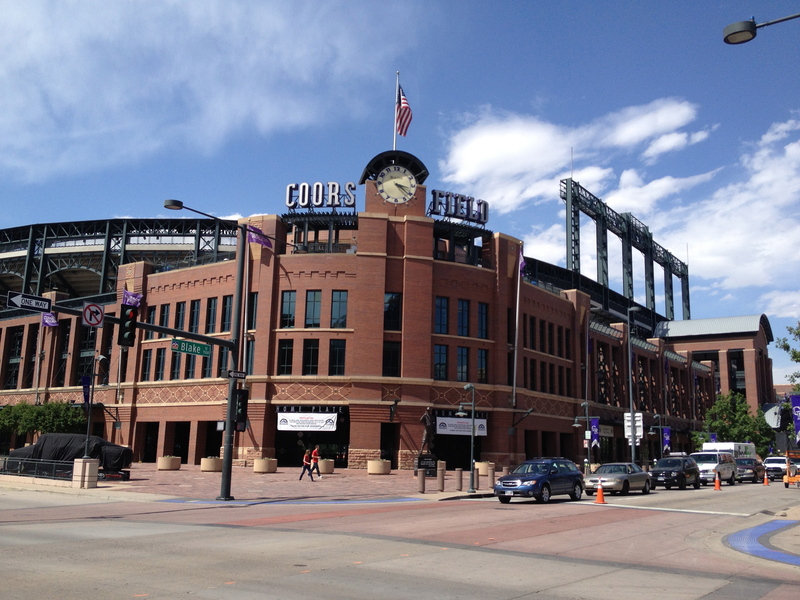 Finish: Coors Field & LoDo – Denver is a great city for sports with every major professional sport represented and several smaller professional and semi-professional teams in the city. 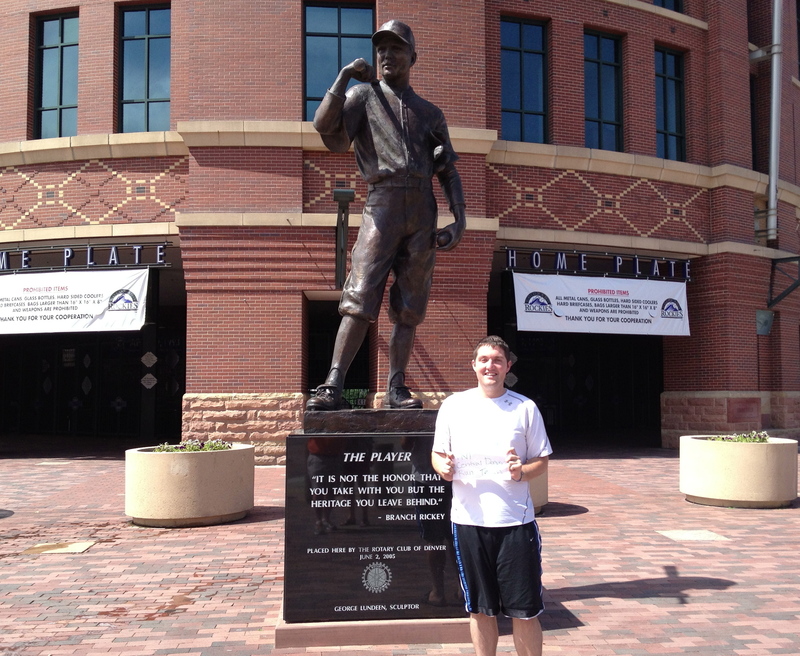 Because of this, I wanted to finish at the home of one of the teams, the Colorado Rockies. If the timing works out, catch a game. My personal recommendation is from the first base line in the row of purple seats (which signifies being a mile above sea level). From here, you can take in an amazing game and see one of the best sunsets of your life as the sun fades behind the mountains. 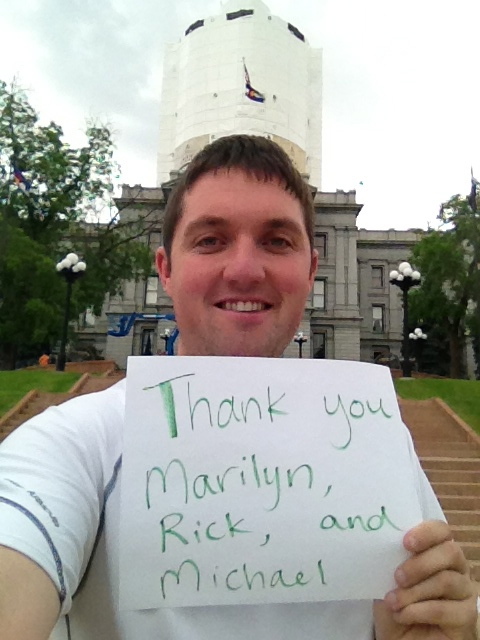 My final thank you goes out to my Team in Training teammates of the summer 2013 Central Denver run team. In early June, I ran my first marathon – The Rock n’ Roll San Diego Marathon. I was lucky to have great teammates to train with, and it was one of the best experiences of my life. 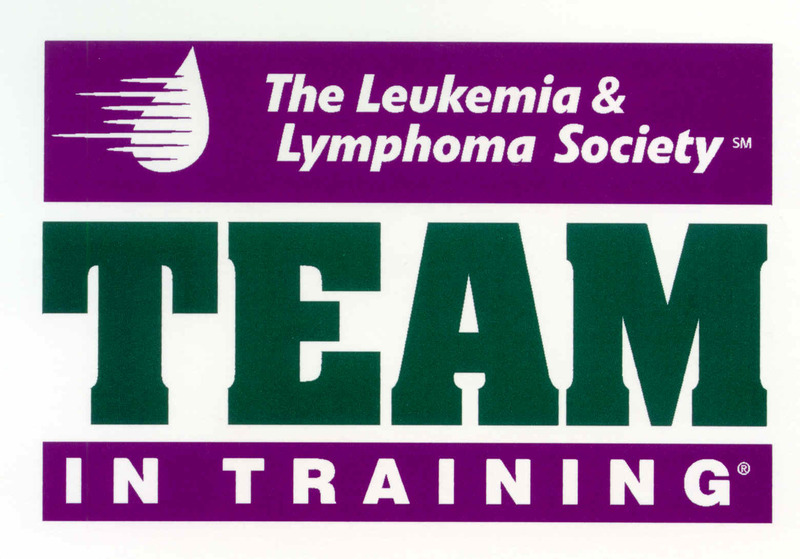 Team in Training is an endurance training program that prepares athletes to run full or half marathons, triathlons and bike races. It is a division of the Leukemia & Lymphoma Society, whose mission is to cure leukemia, lymphoma, Hodgkin’s disease and myeloma, and improve the quality of life of patients and their families. It is a great way to do something active for a meaningful cause, and for the thousands of people who participate in TNT events annually, the impact lasts a lifetime. Go Team! 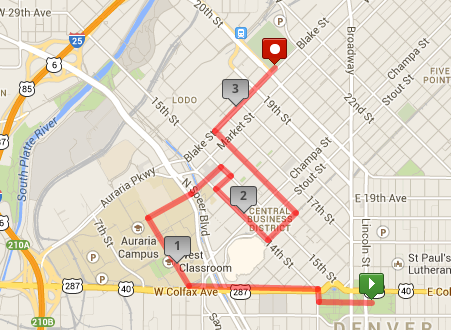 Well, that’s the end of the Tour de Denver. 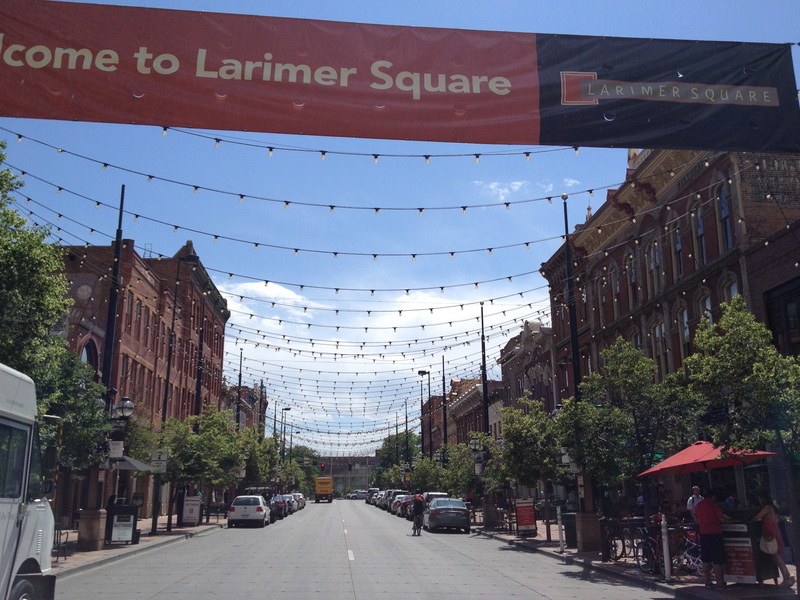 If you need to get back to where you started, head back to the 16th Street Mall and take the FREE Mall Ride bus. It will drop you off just a few short blocks from the Capitol. 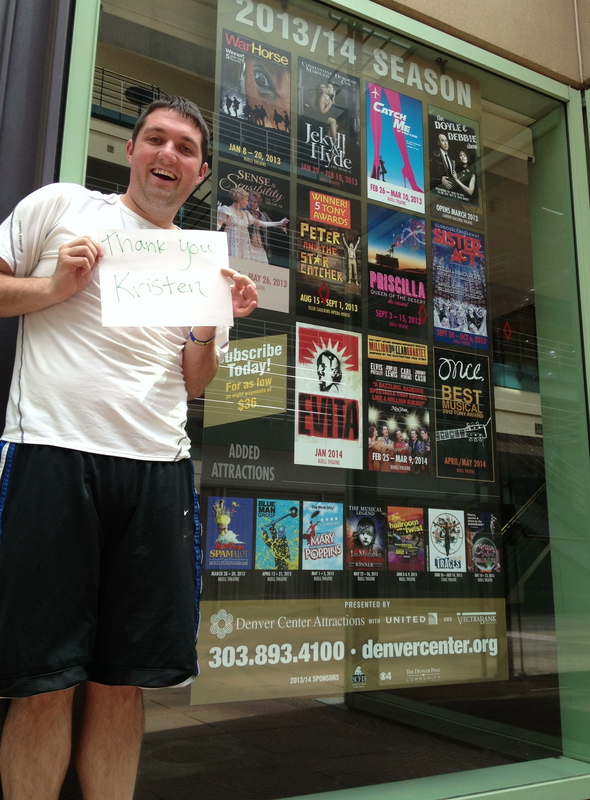 Thanks for checking out the Mile High City, and we hope to see you back soon! Love this – what a great post Jeff!